Posted August 22, 2012 in Dave Gutierrez, Fantastic Four. 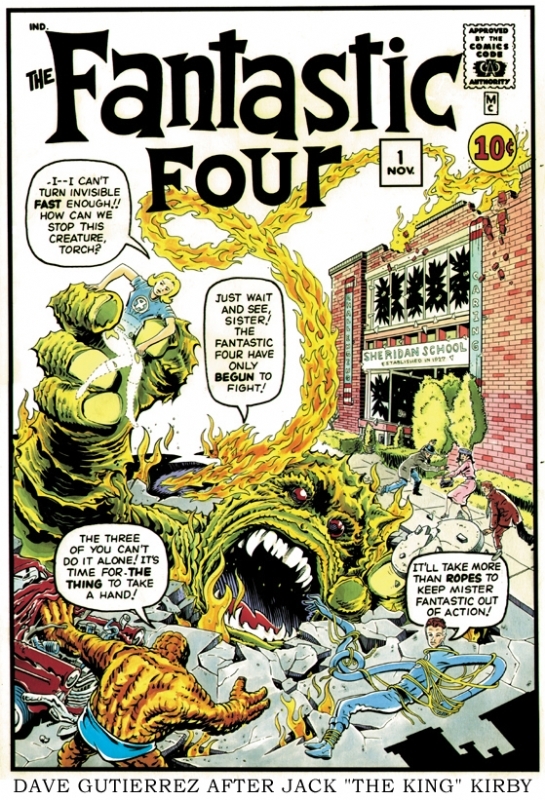 Artist/Architect Dave Gutierrez takes on Kirby’s iconic cover to Fantastic Four #1. Dave is available for commission via Wednesday’s Heroes and you can find more of his work at his blog, Abstract Reality Studios.